One of the biggest social media influencers in the game has a word of advice for those hoping to strike it rich as a social media influencer: Get a real job. 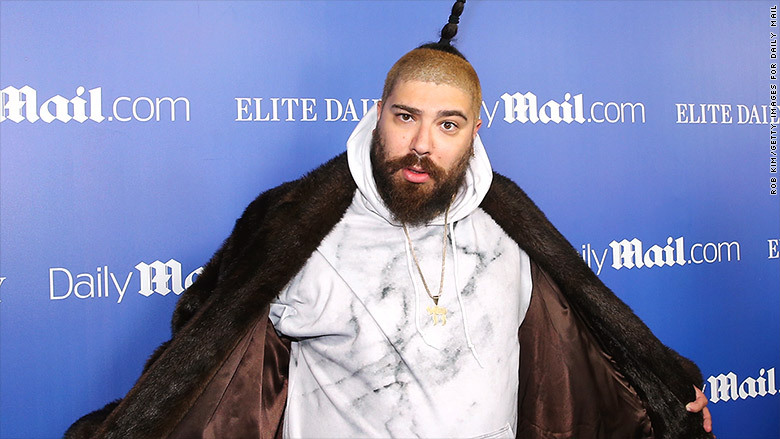 The Fat Jewish, whose real name is Josh Ostrovsky, says the online phenomenon that made him a tidy sum of money has nearly run its course. The end of the influencer age, he says, is nigh. The future lies in making real things for real people. "Everybody just wants to be an influencer now. Nobody wants to get a job," he told CNNMoney in a recent interview. "Everybody's just like, 'Wait. I could go out and like hold those like hair enhancement gummies' or 'I can go out and like hold a product, and I can make money. I just think people need to learn how to actually build things from the ground up. ... That will take you farther than the internet." That explains his latest venture, Swish. The company, founded with his buddies David Cohen, Tanner Cohen and Alexander Ferzan in 2015, sells wines with irreverent names like White Girl Rose and Family Time Is Hard. It just launched a line of canned wines called Babe, and is toying with the idea of keg wine. No, really. Keg. Wine. Give yourself the gift of realistic expectations. He says the concept is to "reinvent" wine to "make it fun." He throws wine parties where you might find a rosé-filled pool or rosé-covered Slip 'N Slides. Anheuser-Busch (BUD)'s venture capital team, ZX Ventures, acquired a minor stake in Swish in March, which would seem to prove his point about the best way of making money. The company declined to discuss the deal. "People are starting to experience a little bit of social media burnout," Ostrovsky said. "How many times can I look at your baby? How many times can I look at a blazing, pink L.A. sunset, or your açaí bowl, or your 5K? So we wanna give people real things, and that's part of the reason we created the wine." The Fat Jewish, whose real name is Josh Ostrovsky, has 10 million Instagram followers. "Eventually there will be too many influencers, the market will be too saturated and the value of influencer posts will continue to plummet," Ostrovsky said. "It's a very standard value proposition. The more people join, the more options there are for the brands — the less each influencer is worth." You might think that the only reason Ostrovsky can sell wine is because he's got a massive audience. But you won't find any mention of The Fat Jewish in Swish's branding. "That was the biggest decision" the company made, he said. "We wanted something that you could be into if you followed me and you love my wild antics. Or something you would actually see in the store on a shelf and say. 'That's me. That speaks to me.'" Swish wouldn't disclose its revenue, but Ostrovosky says over 20,000 retailers carry its products and they do especially well in California, New York and New Jersey. As for those slightly inappropriate wine names, Ostrovosky says they're in keeping with his penchant for making fun of everyone, himself included. It's what made him so popular in the first place. Ostrovosky isn't wrong about the social media influencer space getting saturated, but it's a bit too soon to write an obituary, says Kamiu Lee, the CEO of the influencer marketing agency Activate. Lots of brands continue looking for people with strong social media followings, but their ideal representative has changed. "The attention from brands has shifted to micro influencers," she says. That's the hot new buzzword for people with 50,000 to 250,000 followers. Working with people who have a follower base of that size allows brands to tailor their message to specific groups. 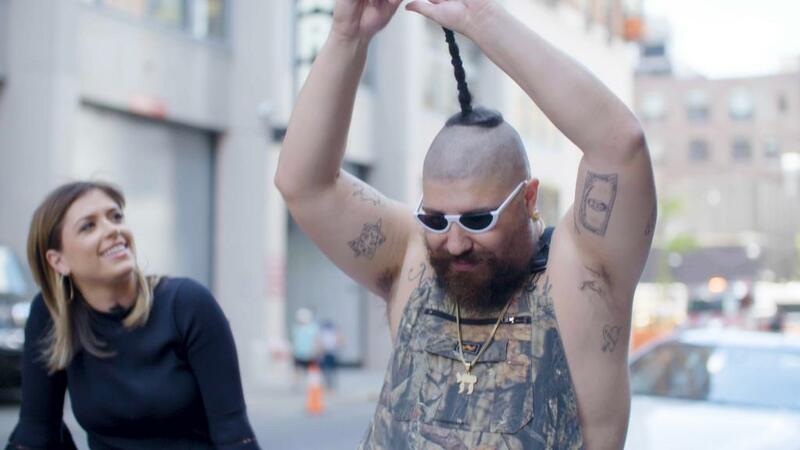 None of this means Fat Jewish will delete his Instagram account anytime soon. "I don't think I would ever wanna walk away from it," he says. After all, why give up all that influence?